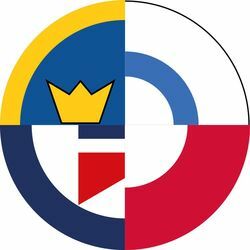 In our series of articles devoted to modelling the last flying J35 Drakens (see the first article from the March 1999 Issue of The Magazine, and the second one from June – Ed. ), we have previously mentioned the 2nd squadron of F10 wing at Ängleholm. This squadron traded in their J35Js by the end of the year 1998. Their next mount is going to be JAS 39 Gripen. To commemorate the event, one of unit’s machines was repainted in what is arguably the coolest Draken paint scheme ever. The aircraft received an overall coat of deep medium blue, the color of the 2nd Squadron. 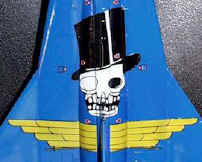 Then a large stylised unit badge with a skull motive was applied on the top of the delta wing and fuselage. This spectacular piece of artwork had then been showing in a number of air displays. A nickname Johan Blå (Johan Blue) quickly stuck to this aircraft. On the 18th January, 1999 the aircraft flew to Linköping to be handed over to the Swedish Air Force Museum. This machine is truly the last of the last Drakens in service with the Air Force in Sweden. Draken will still be flying in Austria until 2004, but then the the 40-years successful carrier of the J35 will definitely, and irreversibly, become history. 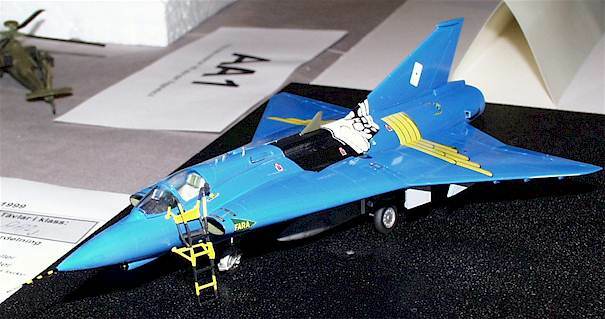 Claes Wahlund used the Hasegawa 1/72 kit as a basis for his model. 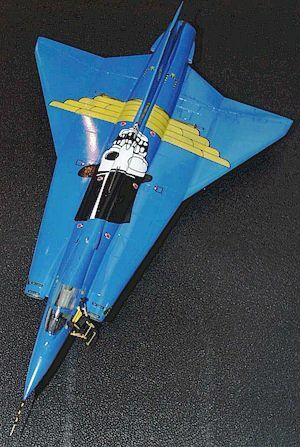 The model was airbrushed with the original color from a collectors’ decal set, 200 of which have been released in Sweden. The set contained a Humbrol-size tin of original color, a decal sheet featuring the overwing artwork, a letter signed by the three pilots flying Johan Blå and a short history of the aircraft with color photographs. If you’d like to model Johan Blå, then maybe, just maybe this set is still available from Rebell Hobby in Stockholm. This article was originally published in IPMS Stockholm Magazine in July 1999.